We live in a tech-centric world, and smartphone apps have become increasingly important tools in helping us manage our daily lives and health. 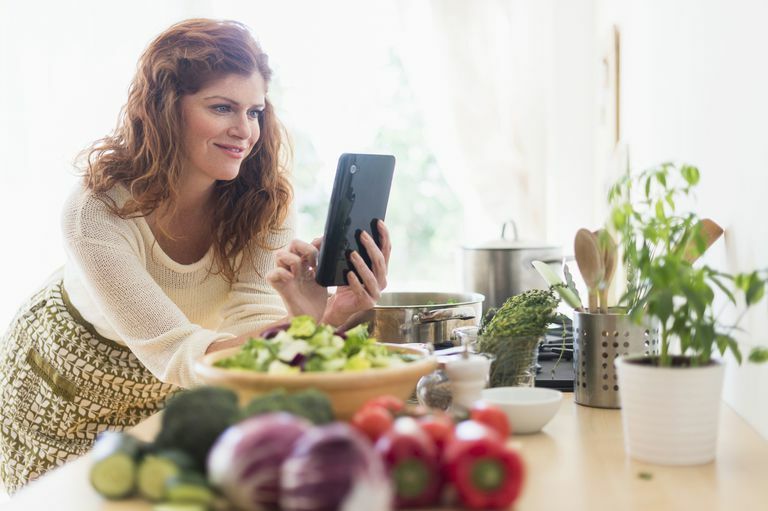 Apps can certainly make living with diabetes easier, assisting with everything from diet and exercise to glucose monitoring and symptom management. Here are four smartly designed apps to consider if you have either been newly diagnosed with diabetes or simply want to gain tighter control of your blood glucose levels. GoMeals is a nutrition-focused app that allows you to count carbohydrates quickly on your smartphone. With over 40,000 ingredients and 20,000 restaurant menu items to choose from, the tool can help you gain better control of your carb intake without having to guess or take chances. GoMeals also allows you to customize recipes and save favorite searches. You can even tag your location and geo-locate recommend restaurants in your area. This beautifully designed app was recently updated to track exercise and blood sugar, the data of which can be synced across multiple devices. Better yet, GoMeals is free and available for download on your iPhone or Android device. Glucose Buddy is the must-have app for tracking blood glucose levels. As you start to build a record of your results, the chart display can help you spot patterns and gain greater insights into your blood sugar trends. The app also offers push notifications to remind when to check your blood sugar next. Glucose Buddy Diabetes is available free on both iTunes and Google Play. An ad-free Glucose Buddy Pro app is also available for $5 per month. The upgraded version offers desktop login, community support, custom tags, enhanced filters, and an A1C calculator. SparkRecipes is a nifty app which offers more than 500,000 tested and rate diabetic recipes from the community of users. The recipe database allows you search by criteria and keyword, allowing you to narrow the search by meal type, cuisine, course, and diet type (including gluten-free, low-fat, low-carb, and vegetarian). Most recipes come with a full-color photo and provide you with vital nutritional information, including calories, carbs, and 10 other key nutrients. By registering a SparkRecipes account, you can save recipes to "Favorites," sync your recipes across multiple devices, and share them with friends and family via social media. SparkRecipes is free for download at iTunes. BlueStar Diabetes is an FDA-approved, Class 2 medical app which provides approved diabetics with 24/7, real-time coaching from a certified diabetes specialist. This comprehensive app is available only by prescription and offers an impressive range of tools tailored to the individual. When registered, users can receive personalized guidance based on their blood glucose, medications, current health, and a review of lifestyle factors. In addition, BlueStar provides coaching messages based on real-time glucose values and trends. While BlueStar is not intended to replace your doctor, it can greatly enhance your care, particularly if you're having difficulty controlling your blood sugar or are in need of ongoing support. BlueStar is intended for person 21 and older with type 2 diabetes only. It should not be used by people with type 1 diabetes, gestational diabetes, or who use an insulin pump. BlueStar is available free of charge for both iPhone and Android devices. To activate the app, you will need to get an access code from an authorized healthcare provider.